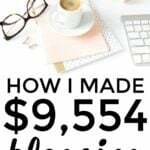 Yesterday, I published my July Goals and Life Update, and in it I stated that my goal was for $9K in side hustle income. Well, I definitely blew that number away! July was another awesome month. I'm really hoping that August will be the same, but I'm not sure if it will be. Also, even though my extra income is higher than ever, I still constantly worry about what 100% self-employment will be like. I'm terrified of everything tanking the day after I make the switch. 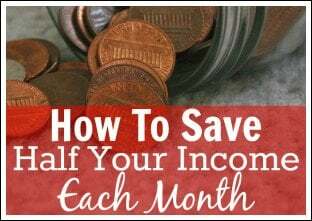 This will all be included in a post on Diversified Finances soon! 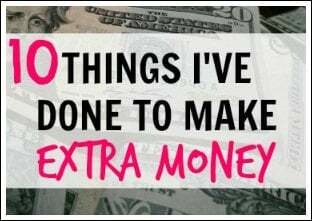 Extra income also does not include any money that W makes, as he doesn't do too much for extra income and he is mostly commission at his work (so it fluctuates every month anyways). As I say every month in my income update posts: this is not all easy. None of it is. I spend enough time to make this a full-time job on top of my already full-time job. Luckily, I do enjoy what I'm doing so it's not like I'm dreading anything. The goals that we have are also a great motivator. The fact that I plan on making the jump to self-employment is the biggest motivator that I will ever need! Read further on my Extra Income page. This is for the month of July and before fees and expenses (expenses that lower the amount above include approximately $1,825, which includes payments for my virtual assistant, staff writing on my blog, work with FITnancials, PayPal fees, etc.) being taken out. July's number above includes a rent payment from my sister. 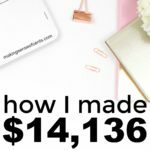 So after all expenses and fees, I made approximately $11,117. 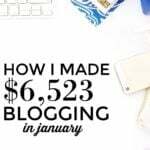 In the amount above, I do not count the amount that I bring in to blogs that I help run, I only include the amounts that are my actual earnings from my services. My blog is finally stable! Sorry, if any of you had problems with it last month. It seems like everyone was having problems with their websites though, so I'm sure no one really noticed. My site should be good from now on. My sister's blog is still doing well. Please subscribe to FITnancials if you haven't yet. 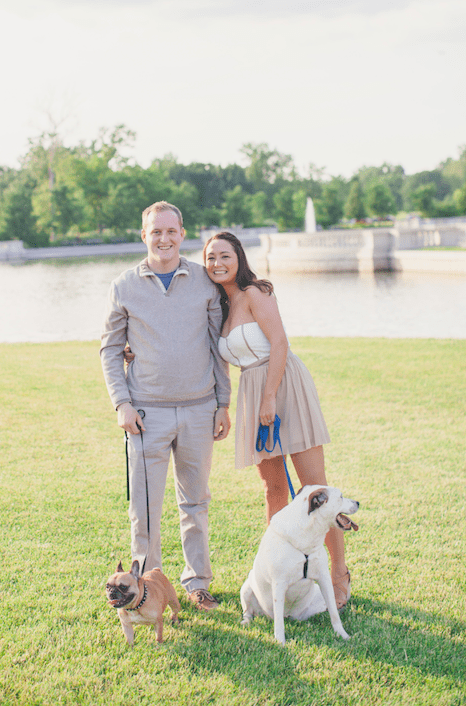 She has many plans for her blog, and just earned her personal trainer fitness certification a couple of months ago. She's doing great! She is also about to start her second semester of college. I feel like a mom sending her child to college, haha! Lately, my staff writing has been decreasing, but I really would like to ramp it back up again. I really enjoy writing, and I have so many ideas for blog posts. My blog management side hustle has been going well. 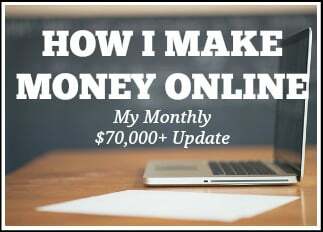 I manage different aspects of several different blogs, and that is what has helped me ramp up my extra income in the past couple of months. All of my new services make me extremely happy. Every little thing all make the switch to self employment possible. I would still like to help more website owners, as I have time open for that, and it is something that I truly enjoy. I'm still debating whether or not I should create an ebook, and I think I will be waiting on that for at least a little bit. I have so many other things that I want to do first! I also added a Hire Me tab to my blog, so that I can let me freelancing services be known. Please let me know if you have further questions on the services that I offer. 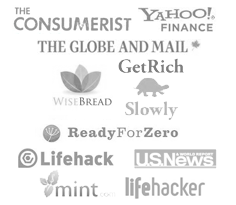 Affiliate income – I want it! My affiliate income definitely decreased last month. Why you ask? 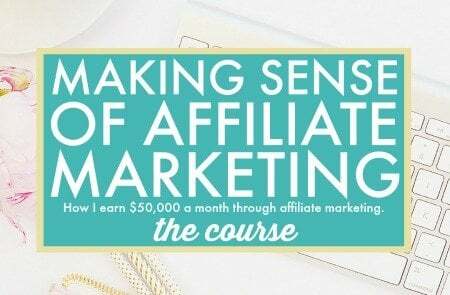 Well, I don't think I have included a single affiliate link in a post in a long time. I definitely want to change this. However, I will say that I will only review products and insert affiliate links for products that I think are useful. How did you do in July? 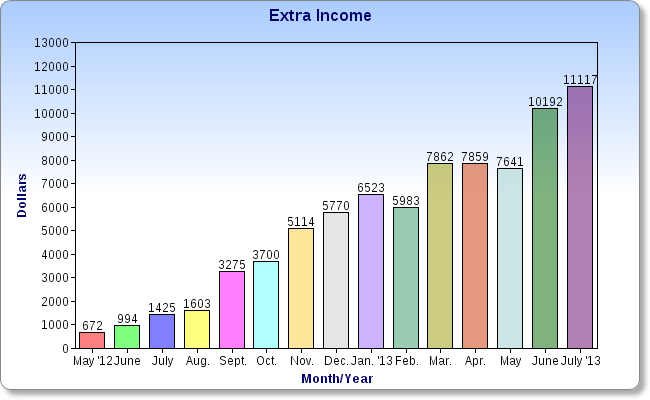 What are your extra income goals? Congrats on the killer month! I too crave predictability in my finances, so I don’t think could ever go solo, even given the chance. 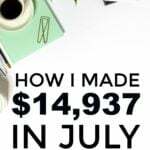 In July I hit a curb and popped a tire while making no extra income. It went…OK. Nice work, and even better moving toward other avenues beside direct ads and adsense alone. Another fabulous month! You are awesome! Congrats! Keep on keepin on! Wow, you are doing so well, Michelle. I can imagine the kind of work you must be doing on top of your day job to make this happen! 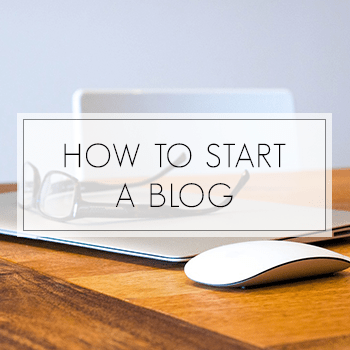 I have just started making extra income from my blog within the last couple of months and it’s funny how much more work everything becomes the minute you start accepting money for something that was once just a hobby. I can’t post when I feel like it, I have a schedule. I look at my numbers a lot more and think about ways to increase them. It’s a big shift. Congratulations on your success – I’m excited to learn more about your launch date for freelancing! 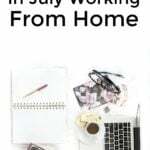 Hi, I’ve been following your blog for some time now and I think it is absolutely wonderful the strides you are making in your side hustles. 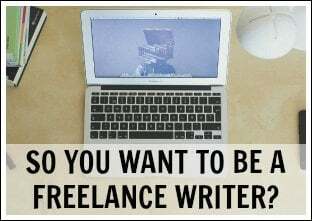 I have a few myself, which include writing, and although I’m not anywhere near the point where I can go full-time with freelancing, your blog definitely motivates me to keep at it. Thanks for sharing your plans and goals with us. This is amazing! 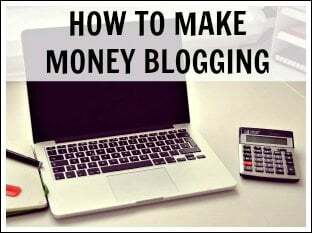 You are well on your way to a blogging empire. I don’t have anything really to add that others haven’t said, but again congratulations and I think whenever you feel ready, I’d make the jump and leave the 9-5. You still would maybe work those hours, but it would be by your choice. I realize that it has been a few weeks, but I love the new look of the page. It looks great and so professional! 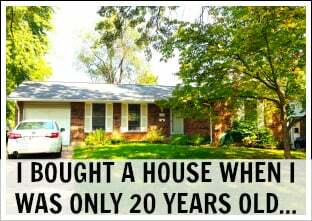 Your side income successes continue to be an inspiration, Michelle! you are awesome michelle! i remember when the $2000 a month was a wahoo for you! not that that amount isn’t great as well, but look how far you have come. you are definitely an inspiration to me. haha I know! Isn’t it so weird? Congrats, Michelle, you continue to amaze me with your strong work ethic and motivation – I can’t believe that with all your extra income, you still want to pursue more staff writing. Great job, girl! Michelle, wow! You’re doing amazing and its always so inspiring to hear about your goals. Best of luck! My goal is to learn SEO better to use it to my advantage. And to find a cheaper iPhone plan. I need to learn more about SEO also. I don’t do much with that! Michelle-you kicked it out of the park! I’m wondering, when did you start working with a CPA to help you manage your taxes? 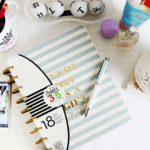 Beginning of this year is when I started consulting with a CPA. It’s a lot of work! Michelle, I really love reading these updates! I feel like I can do anything, even though I haven’t yet monetized my blog. I would like to know how you got started doing staff writing! It’s something I’d really enjoy doing. How did you find places to write for; were you approached, or did you send out queries? What did the queries look like? This is amazing! I’m so happy for you! 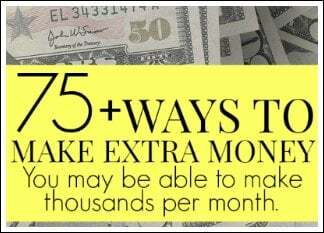 You are totally inspiring to take the time to buckle down an make it work for those of us who want this extra income! I would love to dig in and do all that it takes for this but with a baby, you just don’t have the time to sit and work at the computer! You are so smart to get it going now because it will be so much easier down the road! 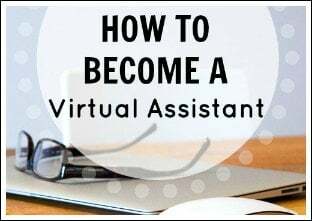 Life just keeps getting crazier but you will get to the point with this work that you won’t have to put in the effort to get yourself out there, you know? Yes, with a baby it would be much more difficult! I never noticed your blog having issues! Good job with your income and all of your side hustles. I’m sure that makes transitioning into self employment so much easier, knowing you have an income! First time stopping by here and if this doesn’t inspire my side income efforts, what will?!?! Congrats on a great month. My biggest fault when it comes to developing these side incomes is finishing one project before moving on to another. Do you struggle at all with this and if so, how do you keep yourself on task to completion? Thanks for the inspiration and advice! Wow, congratulation! You are doing so well. I’m making 2-3k/month and would love to hit 10k at some point. 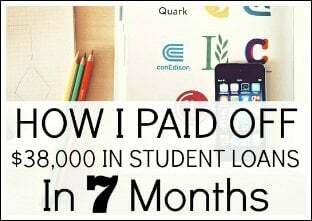 $2-3K per month is awesome!